Yoga On the Court. SOLD out this year! Classes taught by local yoga Instructors. A portion of every ticket goes directly back to Indy Yoga Movement! Receive a FREE Yoga Mat, ticket to the game, and Experience Yoga on the Pacers Court at Bankers Life Fieldhouse! Indianapolis loves yoga! 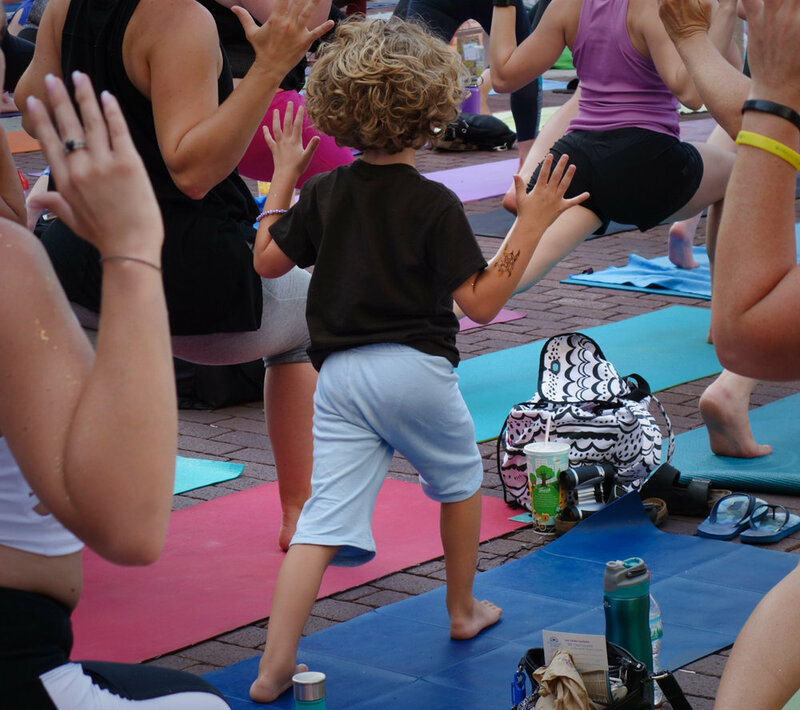 Join us for one of the largest community yoga events in the U.S. Multiple mini-classes, robust yoga village, and family events before the main event. We continue to collect research and use evidence based curriculum that supports the efficacy of yoga, mindfulness, and meditation for children, adolescents, and adults. We have an amazing team of teachers and are always looking for wonderful new teachers to join our teaching team. to receive news and updates. We need great people like you to help strengthen our community! We respect your privacy. 1-2 emails per month.